Drug testing facilities should be easy to get to and deliver accurate test results fast! All the FastMed Urgent Care in Arizona are drug testing facilities, use your zipcode to find the walk-in drug testing clinic nearest you. 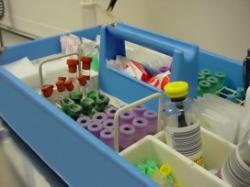 Unlike the local doctor’s office, FastMed has labs – drug testing facilities – right on site. No shipping an employee drug test off to an outside lab. Not only does this save you time and money – there is less opportunity for error. FastMed accepts most major insurance plans and deploys the most current technologies to maintain records – making sure the documentation of test results are clearly, traceable and time-stamped. For the most part, state and local laws determine whether an employer may require drug testing. The federal government does require employee drug testing in safety-sensitive industries like aviation, transportation and national security. Employers are allowed but not required to do a drug test or pre-employment drug screen. Drug tests are normally sought to ensure safety or performance, in an accident investigation or when there is reasonable suspicion of drug use. AZ employers must have a employment drug testing policy and provide it to all workers. Should an employee drug test be positive, a second test using a different chemical process than the initial screen must confirm it. FastMed is all about ease of doing business – our drug testing facilities at FastMed are open 365 days a year – walk-ins welcome. Please check our occupational health services if you’d more information about setting up an account with FastMed.